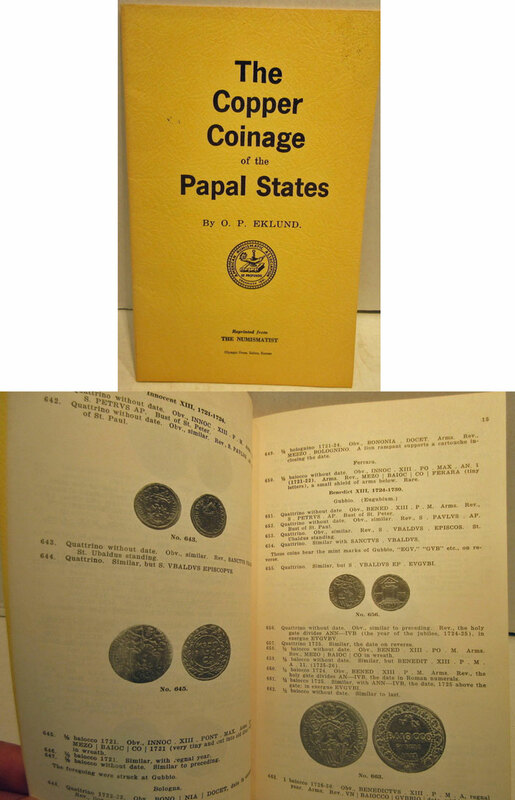 Eklund O.P., The Copper Coinage of the Papal States. Reprinted 1962 from the NUMISMATIST. Softcover, 37pp., b/w photographs. Very good condition.